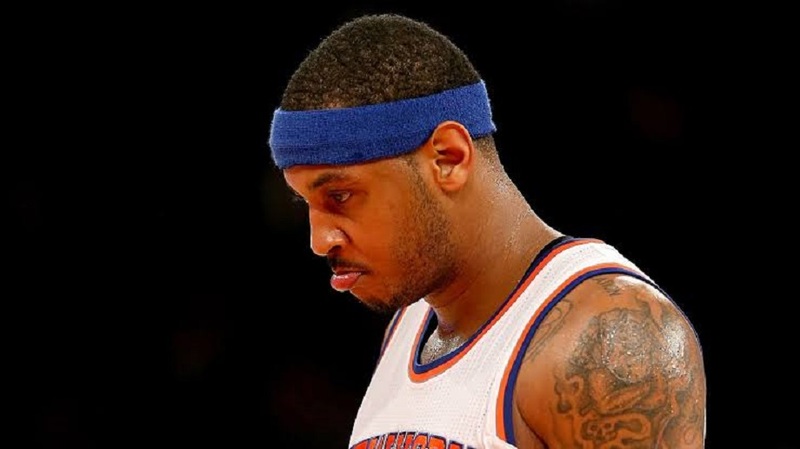 The glorious career of Carmelo Anthony seems to be nearing its not-so-glorious end. After 15 years of playing professional basketball at a very high level, he seems to have run out of a place to call his NBA home. The supposed ‘Big 3′ of Anthony, Russell Westbrook and Paul George clearly failed to work out and the Oklahoma City Thunder bowed out in the first round of the playoffs. During the off-season, the Thunder organization traded Anthony to the Atlanta Hawks in order to save astronomical luxury tax payments. The Atlanta Hawks went on to waive him from their squad and Anthony started hunting for a new team after clearing waivers. The James Harden and Chris Paul led Houston Rockets emerged as the preferred destination for Anthony and many believed that the beleaguered superstar will be able to resurrect his career (to an extent) in Houston and might even win a championship. Afterall, the Rockets did come within one game of beating the Golden State Warriors in last season’s Western Conference Finals. However, even the Houston experiment failed to yield results. Anthony had failed to get along with current Rockets coach Mike D’Antoni during his days with the New York Knicks as well. After averaging 13.4 points and 5.4 rebounds through 10 games into the regular season, 34 year old Anthony was released from the Rockets and he has been without a team since then.